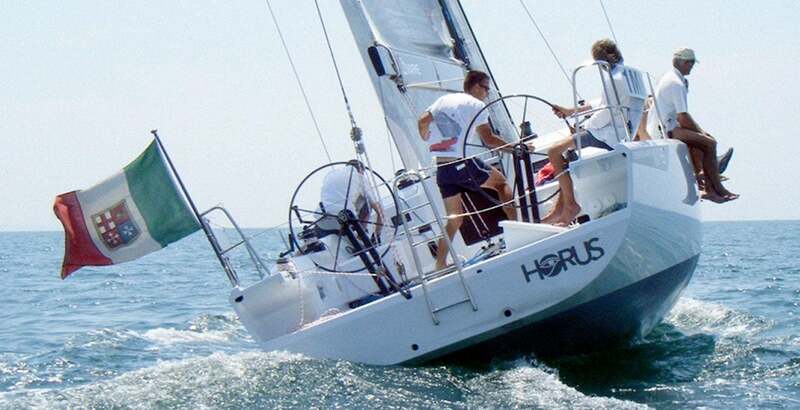 The goal of the project was to create a 35 ft able to stand out for style in the first and most prestigious transatlantic regatta of that time: the Ostar. 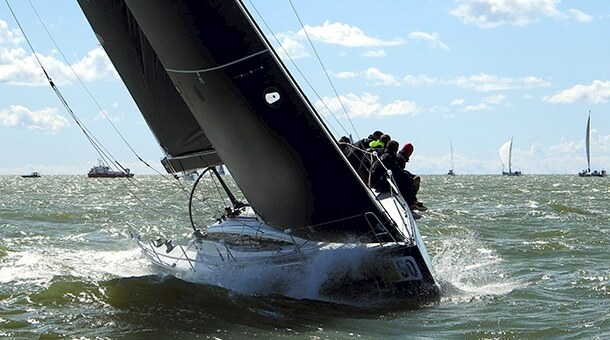 Weather forecast were very various, with two first weeks of upwind sailing with winds over twenty knots almost at the limit of ice, and then switch to mist and light wind close to Newfoundland until the finish line. 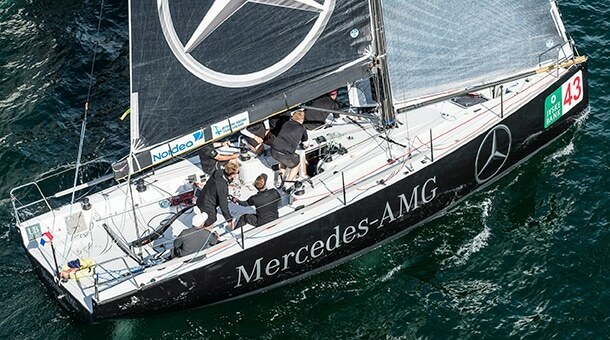 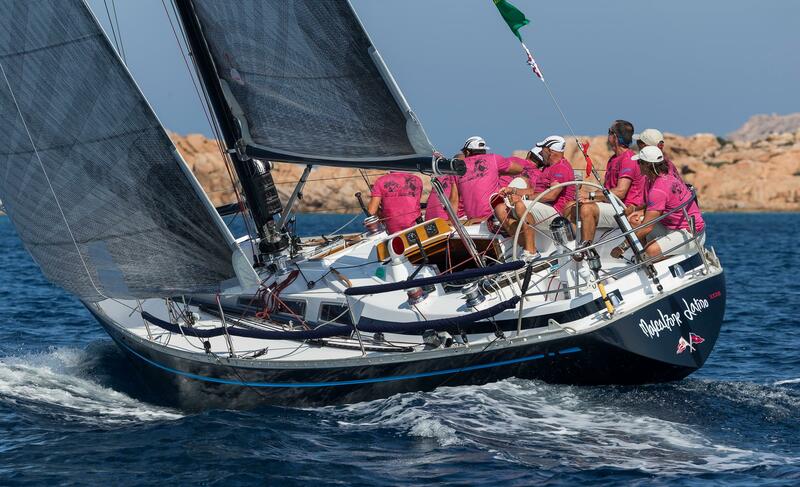 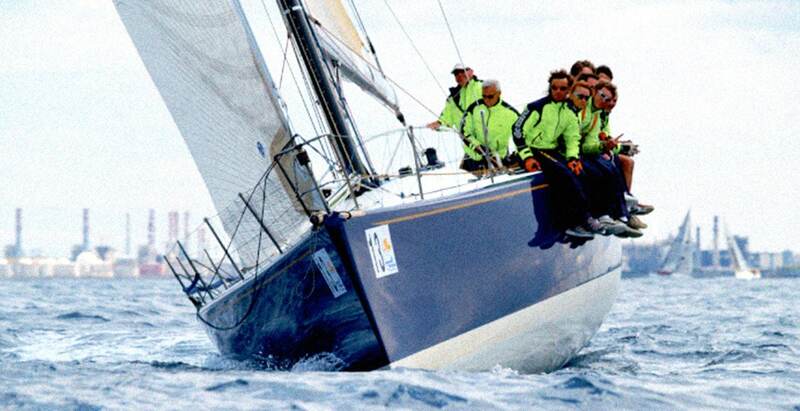 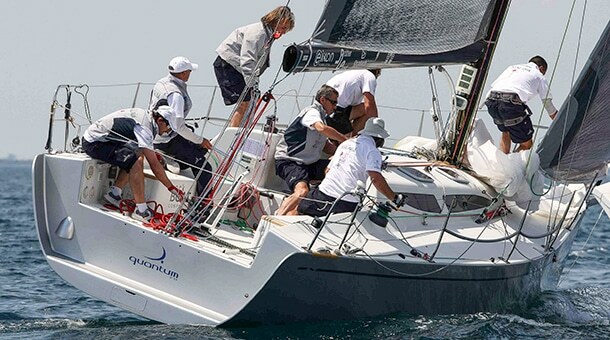 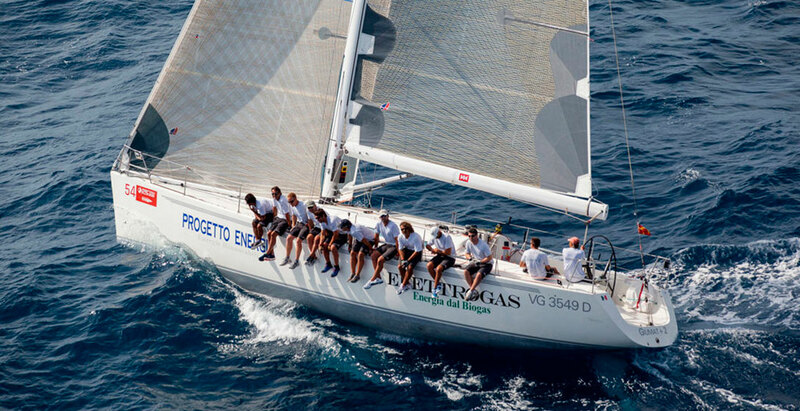 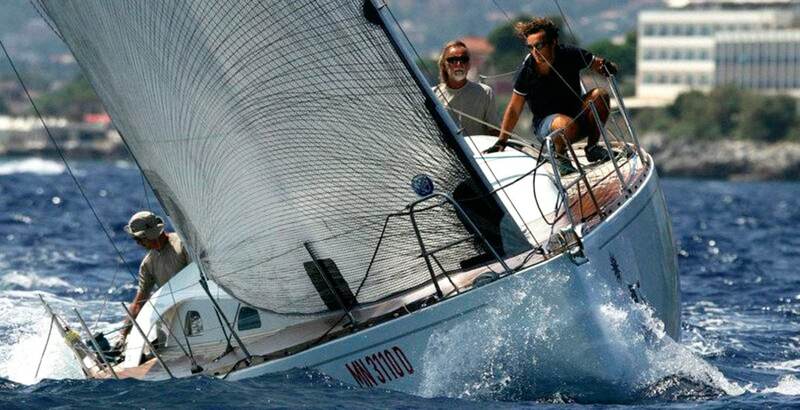 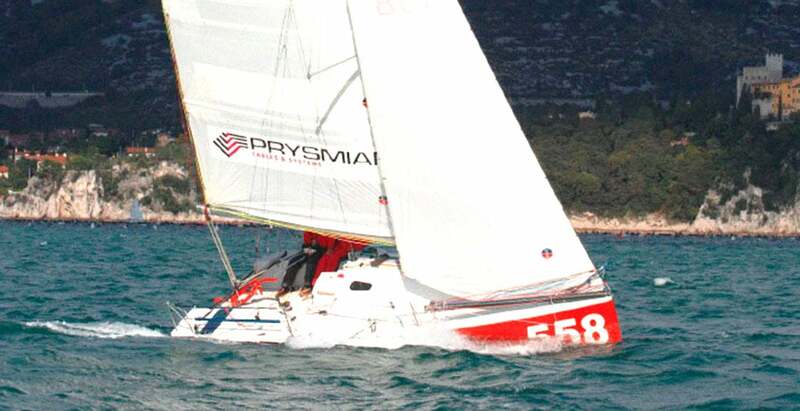 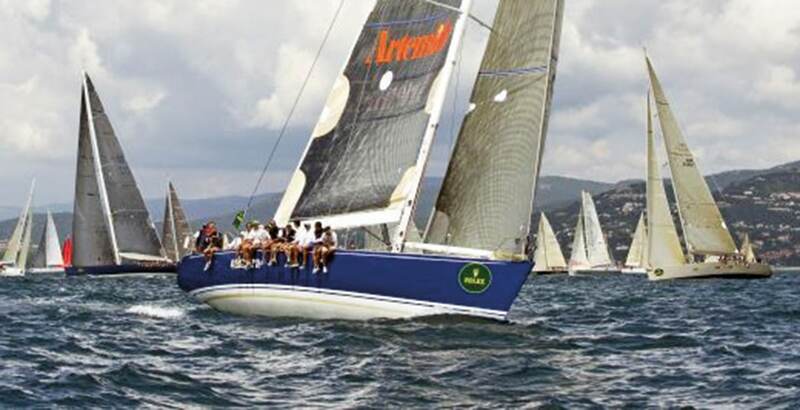 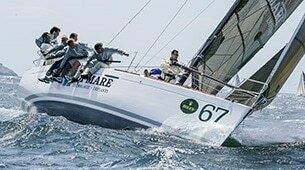 The project was developed in the winter of 1988 together with pro sailor Claudio Gardossi from Trieste, who aspired to arrive at the starting line with a complete, tested boat, in order to be able to aim for a great performance. 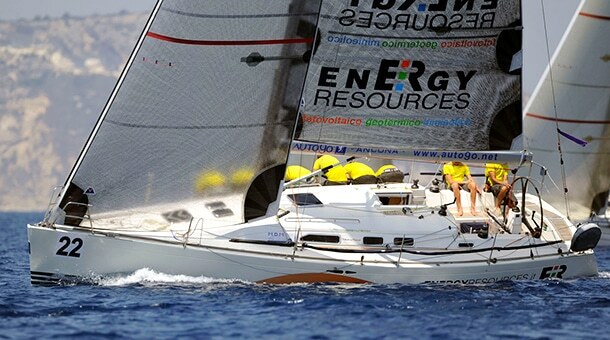 We decided to push ourselves to maximum limit of the class up to 35 ft, with an innovative boat both in the rig and in the technical solutions. 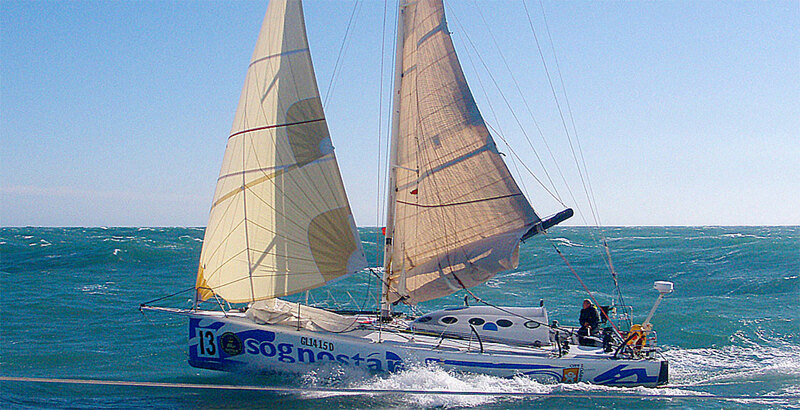 Choices relating to hull and the rig were made after checking the average weather conditions along the race with the help of French meteorologist Bernot, true guru of the sector. 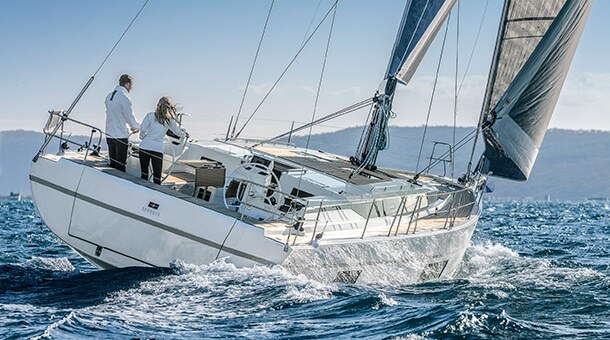 The result was a hull which encapsulate the ones of the most recent Oceanic Open, filtered by the experiences of the “Libera” Class active in the Upper Adriatic area. 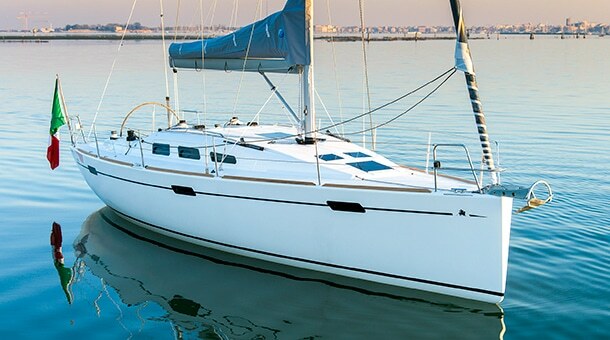 2.600 kg displacement, with a wide hull in deck, to maximize the ballasts effect, narrower at waterline, in order to guarantee a long and symmetrical hull both on “target” rm and on the intermediate angles. 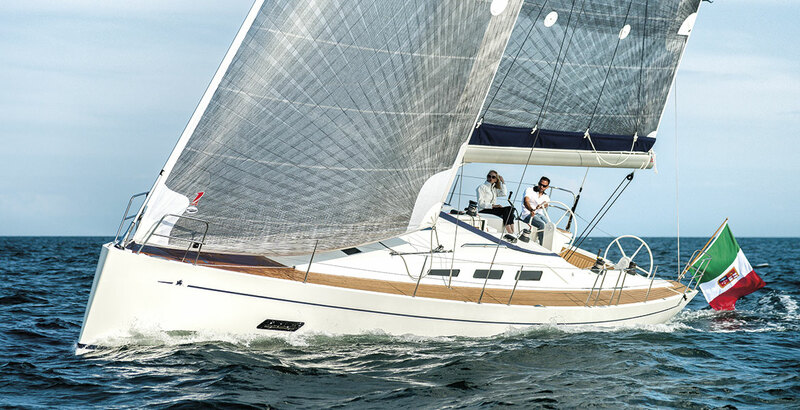 The bow is thin, but the combination of profile curvature (rocker) with the waterline beam of the bow sections ensures good penetration and gentle movements. 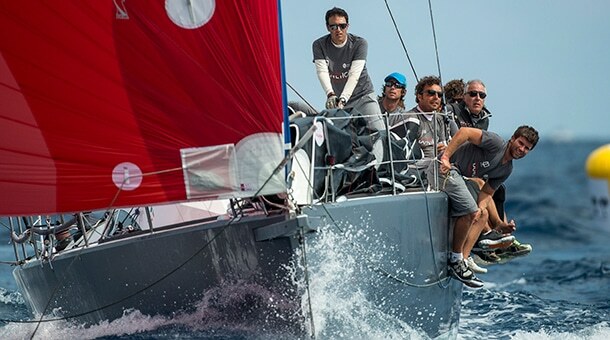 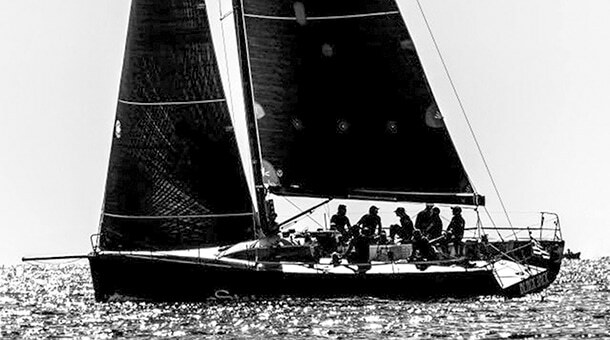 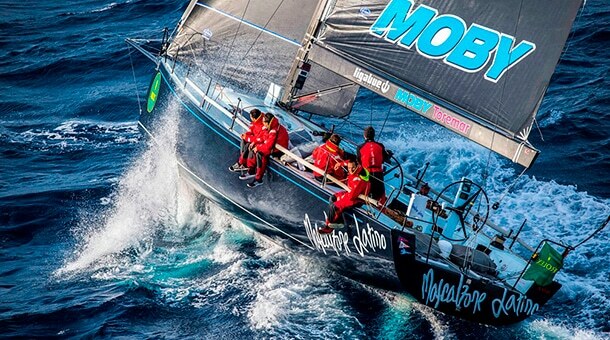 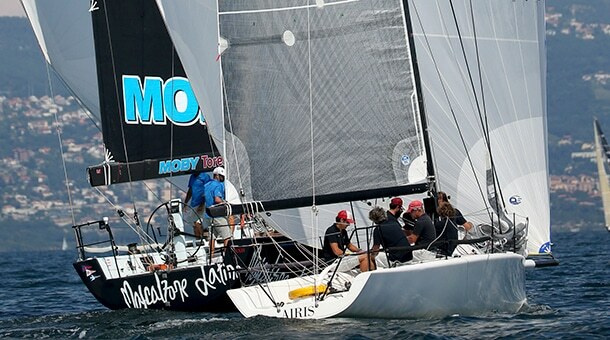 The stern is rounded, to have the best performances downwind in light air prevailing close to the finish line. 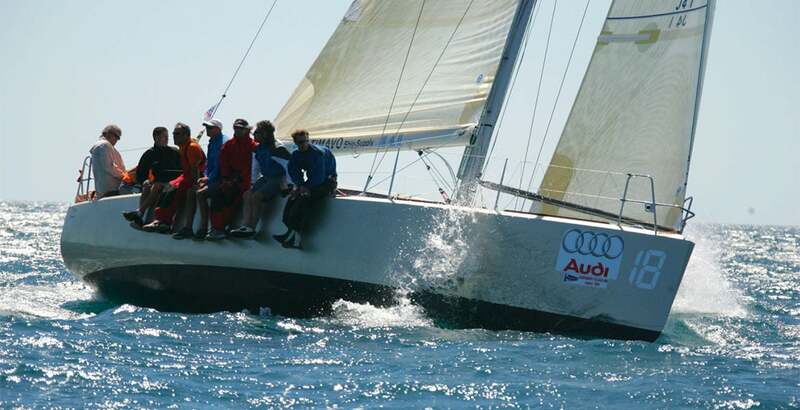 The boat arrived in Plymouth just in time for measurements check before the competition begins. 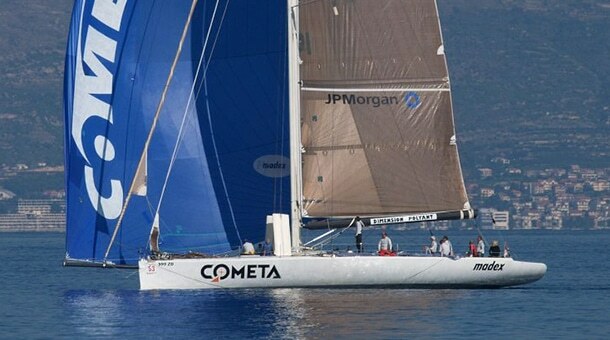 A lot of attention was paid to this Italian contender, really half way between a Minitransat shaped hull but with her distinctive massive carbon rotating wingmast. 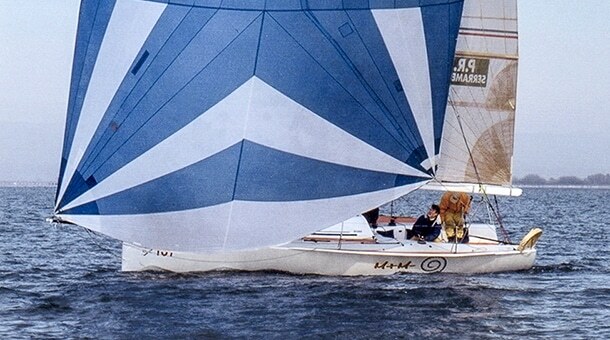 During the transfer from Trieste to England the first signals of problems of water leaking and malfunctions to the new externals autopilots, resulted in their replacement with a new set, but unfortunately, when Gardossi was largely leading the 35 ft class, racing in real time with the 50 ft, the same problems recured forcing him to a premature retirement. 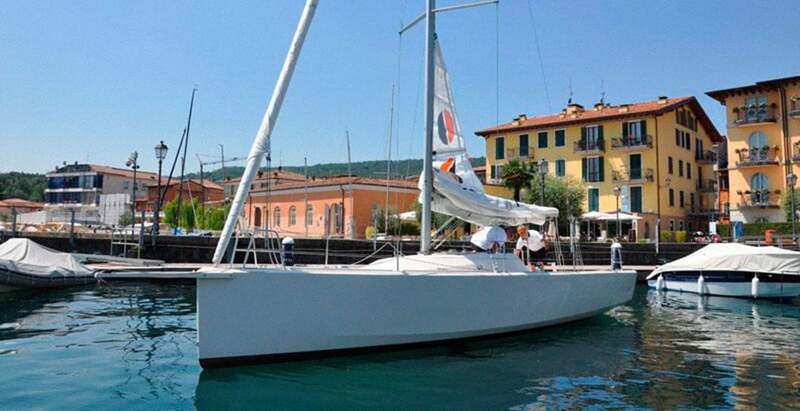 The Ostar 35 was then sailed back to Italy, where rotating mast was replaced by a lighter, more traditional 3 spreaders carbon one, and keel shortened by 25 cm to allow an easier entrance to shallower draft ports of North Adriatic. 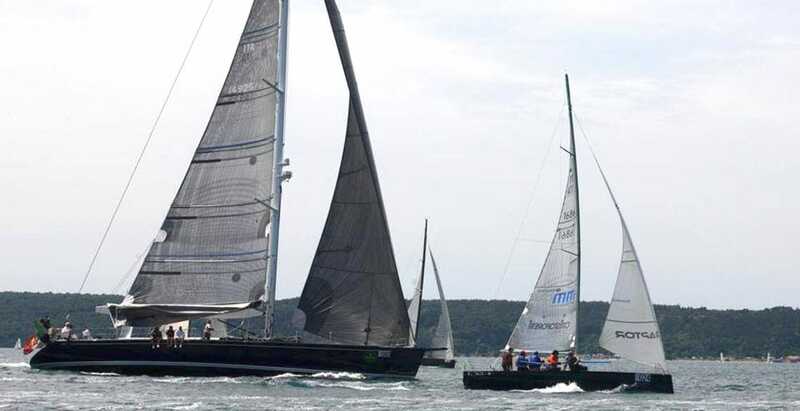 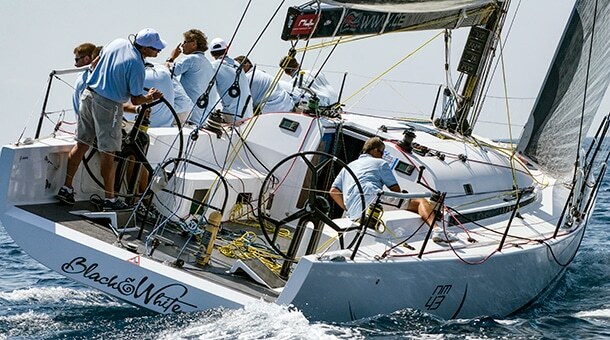 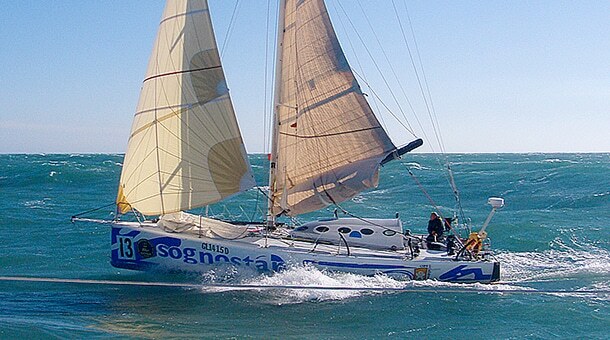 It is nice to notice that ten years later the boat, with a new owner, made a second attempt to race across the Atlantic Ocean, this time successfully and with a good placement in IRC corrected time. 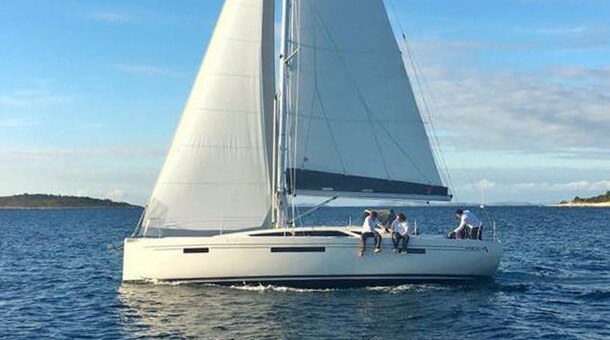 Later the boat was abandoned in UK until a passionate Ireland owner bought her and now she is under a major refit to make her ready for 2018 Around Ireland Race. 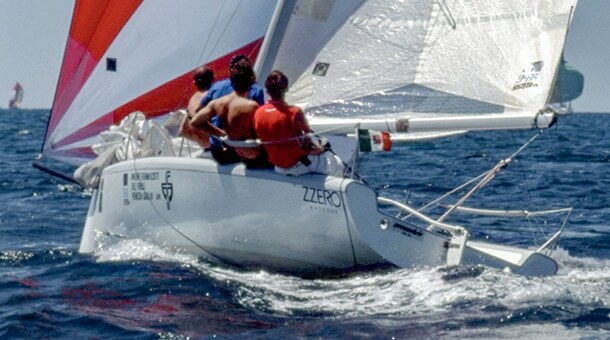 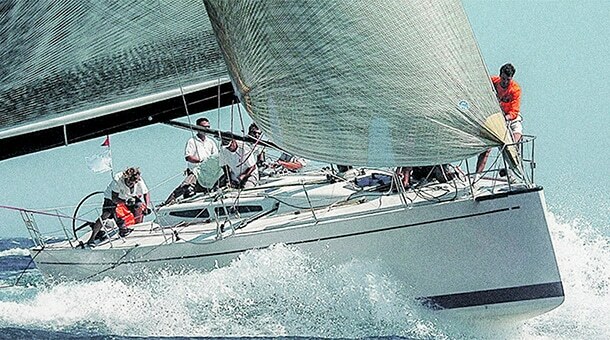 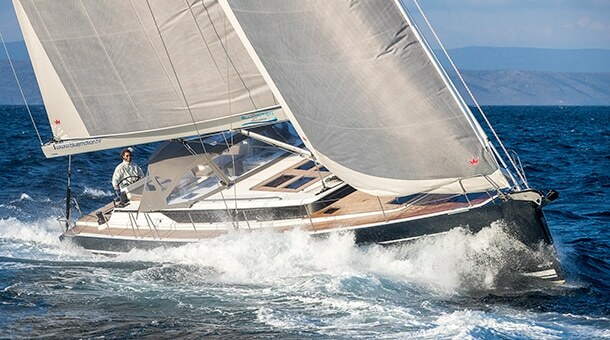 The original configuration of the Ostar 35 rig is the classic one for this type of boats, with a 9/10 furling Genova for mid-light conditions, a fractional staysail for the hardest ones, combined with a generous big roached mainsail of about 70 square meters, with reefs positions studied to be in correspondence of foresails hoisting point, in order to stabilize the mast as much as possible. 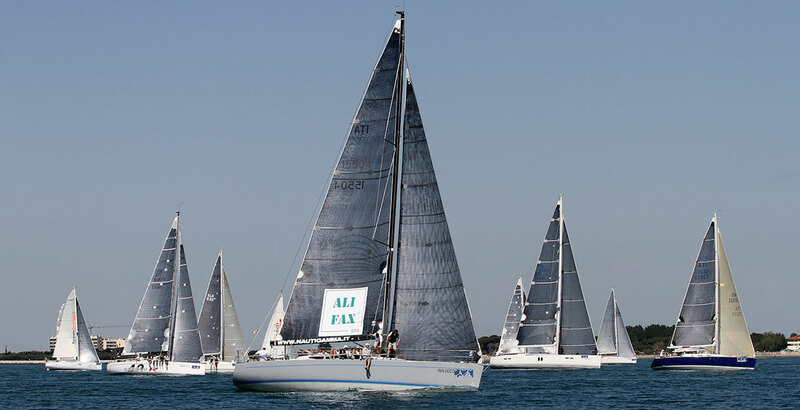 A big, masthead furling Code 0 is provided for the light conditions and two asy spinnakers masthead and fractional, complete the downwind inventory. 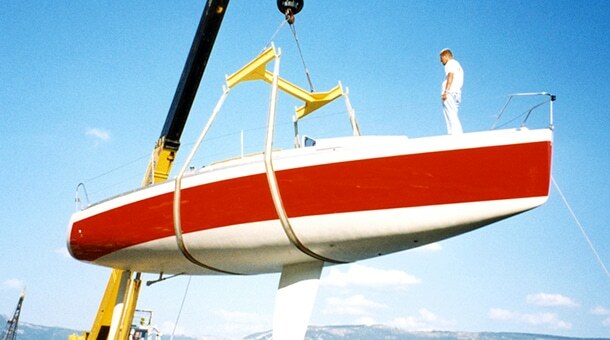 The original mast was a carbon, wing-shaped, self-supporting profile, without shrouds and spreaders, keel stepped, and the possibility of rotating up to 90° to the axis of the boat. 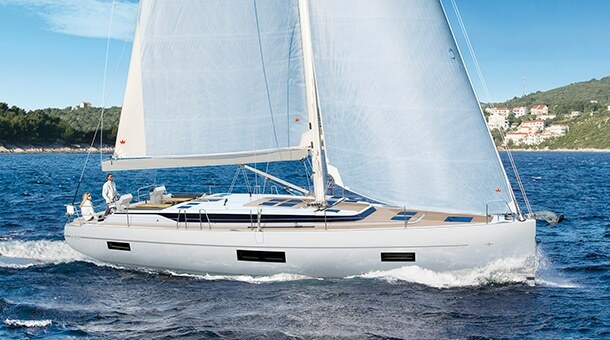 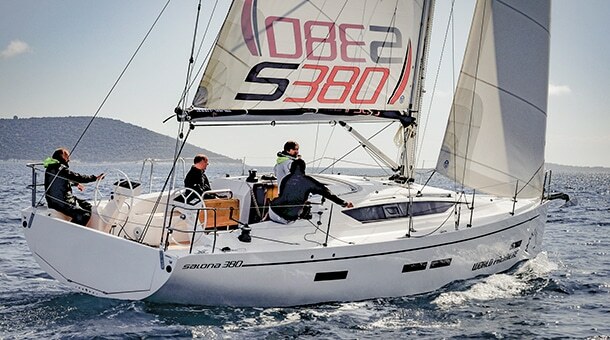 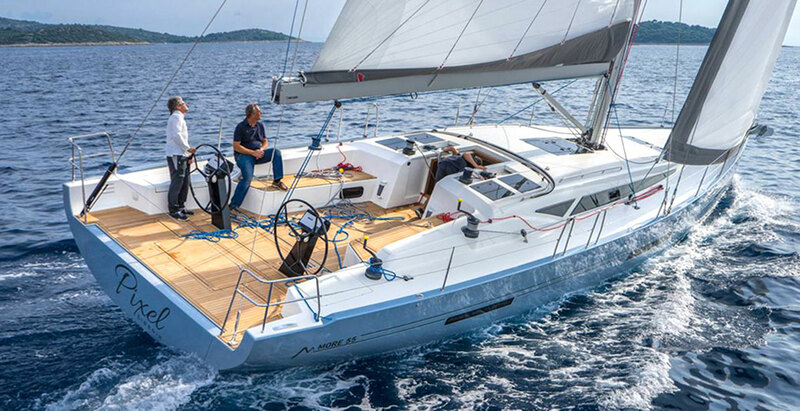 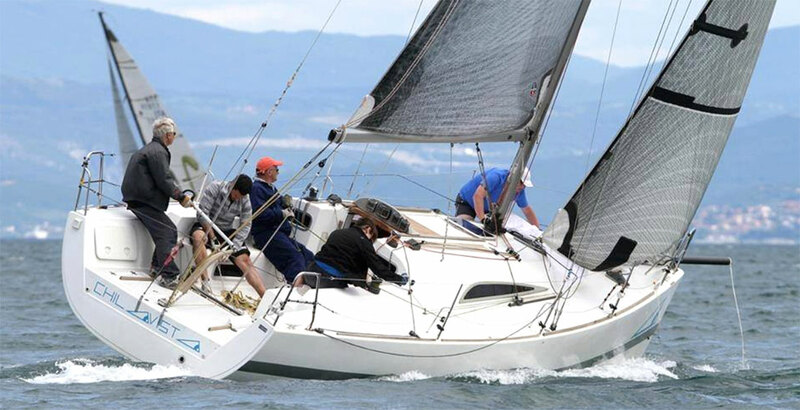 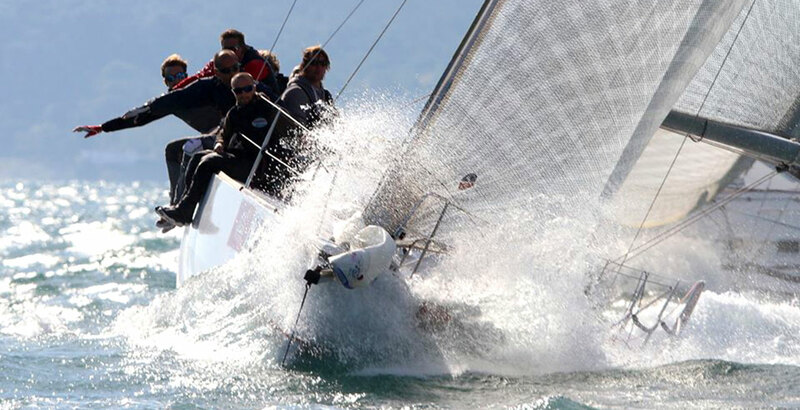 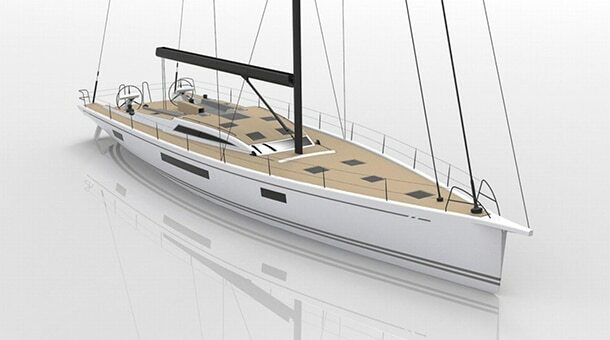 The configuration chosen to optimize stability and upwind performances is a fixed keel coupled with internal water ballast, having considered the preponderance of the upwind sailing and the weight advantage due to the structural simplification compared to the canting-keel hypothesis. 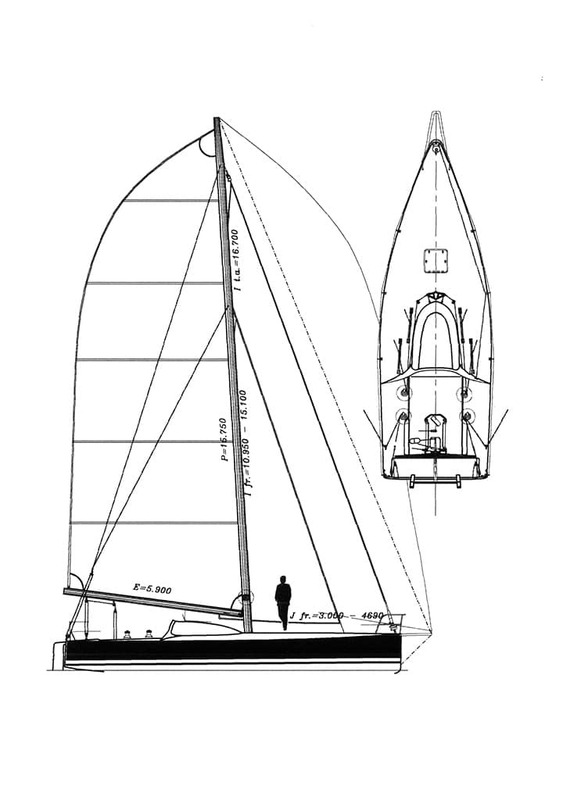 The keel is built from a weldox fabricated fin, supporting a lead bulb, with “L” configuration and total draft of 3.20 m. The two rudders are external. 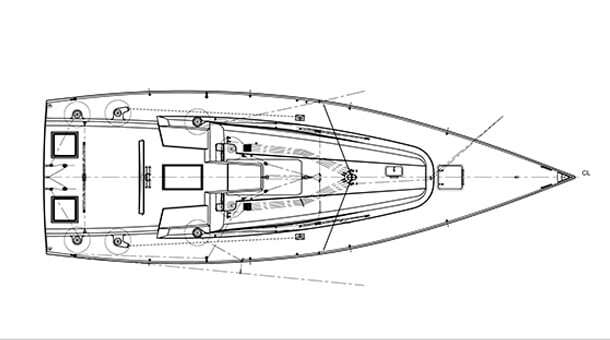 The construction is in glass sandwich for hull and deck, on PVC core ad high thickness and differentiated densities a depending on the zones, in epoxy resin matrix. 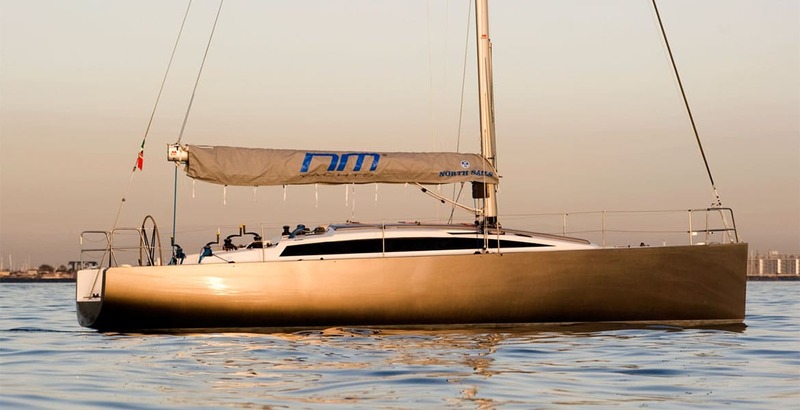 Considerin the problems of PVC cores “Crushing” in presence of repeated shocks, was chosen not to opt for an entirely monocoque structure, even sufficient from overall stiffness point of view, but to reinforce the hull with a network of transversal rings in glass-carbon.